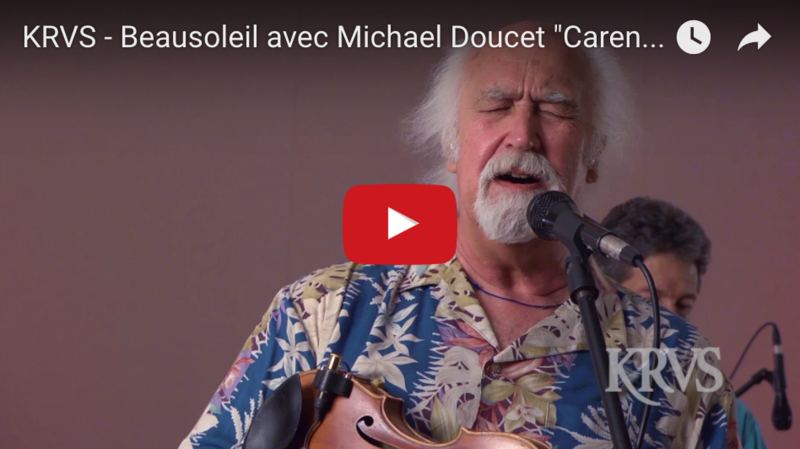 Written by Michael Doucet and performed by Michael Doucet, fiddle, vocals; David Doucet, guitar, vocals; Billy Ware, percussion; Tommy Alesi, drums; Mitch Reed, fiddle; Bill Bennet, bass. Producer, Johanna Divine; Director/Cinematographer, Virgile Beddok; 1st AD, Katie Napoli; Camera Operators, Sara Crochet, Levi Porter, Cameron Haddad; Key Grip, Chris Meyers; DIT, Margo Kieff. Editor, Emile Griffard; Audio Engineer, Tony Daigle. Special thanks to KRVS staff & crew. Sponsored by Acadiana Prescription Shop. © 2017 KRVS Public Media.